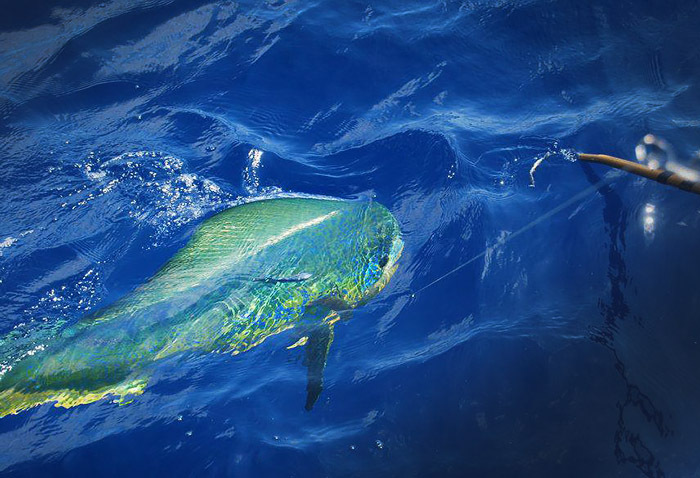 Mahi-Mahi (aka, Dolphin) are exceptional game fish that are delicious to eat, and fun to catch. 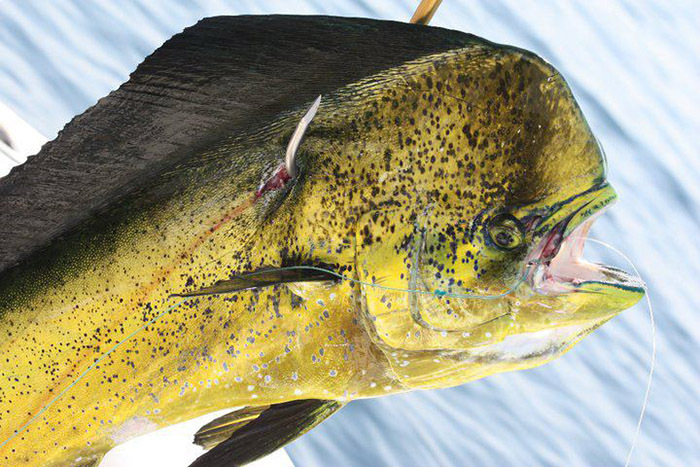 In many ways, we think of Mahi-Mahi as the perfect gamefish, because when the schools of Dolphin are found they aggressively attack baits. and they almost always put on an impressive show. Wanna have a blast catching dolphin with MGFC? Our season for Mahi-Mahi is in the Summer months, where we find them roaming the open waters of the gulf, in big schools in a never-ending search for food. Fast and aggressive swimmers, Mahi-Mahi are also known as Dolphin or Dorado. 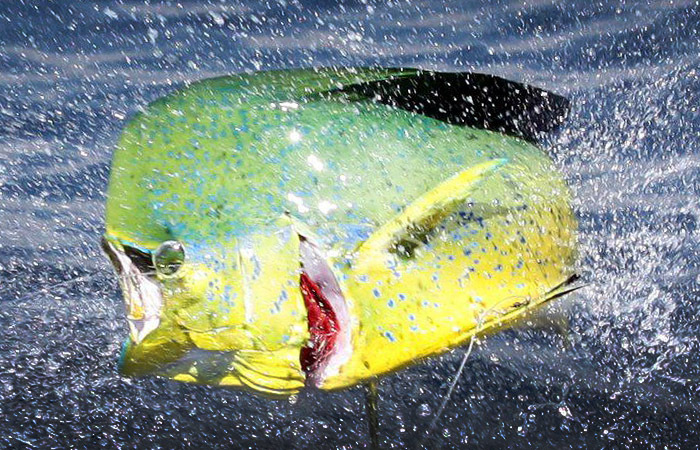 The great thing about catching Mahi-Mahi is that you won’t just catch one! They eat, constantly. They bite, at everything. And, … once hooked, they jump, skip and careen across the water in a acrobatic feast for the eyes as their already impressive colors, turn positively neon where they truly shine. Book a trip with MGFC now! Whether you’re an experienced Dolphin angler, or a first timer, give us a call. 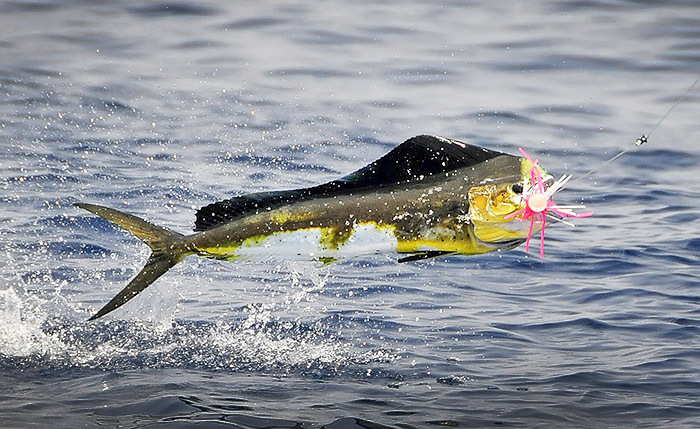 Let’s catch some Mahi-Mahi with MGFC!